A great starter cookware set by Jamie Oliver himself. 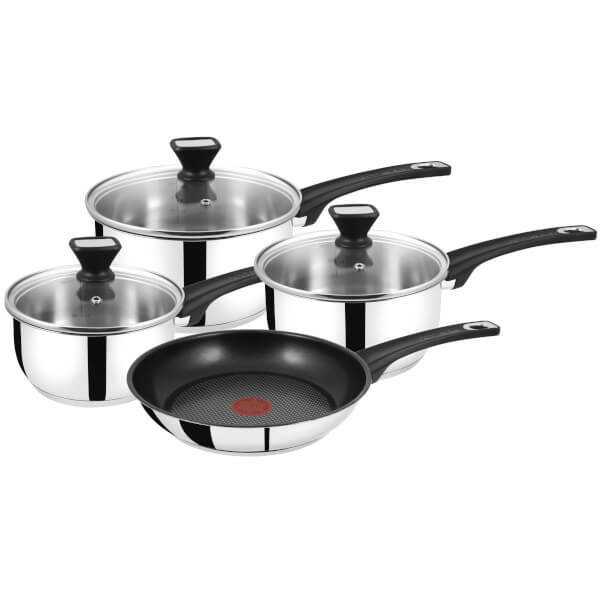 This Tefal Essential Stainless Steel 4 Piece Set includes 16cm, 18cm & 20cm Saucepans with Glass Lids and a 24cm Frying Pan which features Tefal’s iconic ThermoSpot technology which indicates when your pan has reached its optimum cooking temperature. Its non-stick coating gives you easy cooking and cleaning. Just remember to use nylon or wooden utensils to protect its non-stick coating.